Have questions on using the NEWH Logo or using the NEWH, Inc. name? This Recognition of Excellence is presented in the name of Joyce L. Johnson, 1918-1991, to an NEWH member in recognition of dedicated service to the affairs of the NEWH, Inc. and the pride demonstrated by exemplary contribution for the benefit of all the members of NEWH. Click here for a one-page page PDF of current NEWH corporate partners logo collage (2019 coming soon). This can be used in newsletters or event signage. Need a PowerPoint slide show to run continuously in the background at your event? Click here for the PowerPoint! See the 2018 PowerPoint report shared at the Founders Circle in May 2018. Is your chapter thinking about starting a new initiative? Use the Project Scope Document to find out if the initiative is feasible, who will be responsible for the various aspects of the initiative, and the establishment of a timeline . NEWH holds quarterly webinars/calls for each discipline of the chapter boards. These calls are facilitated by the NEWH, Inc. VPs and NEWH, Inc. Directors. Get answers to your questions, share your successes and get ideas from other chapters on what works for them! These calls are a great opportunity for you to talk to people who are doing the same thing you are doing. Feedback on calls to date has been very positive. 2019 Conference Call Schedule – click here! Missed a call, or want to check out ideas from past conversations? Minutes from past calls posted below. Mark these important deadline dates including deadlines for delegate reports, NEWH magazine, TopID, board nominations and more! Check the link for updates throughout the year! 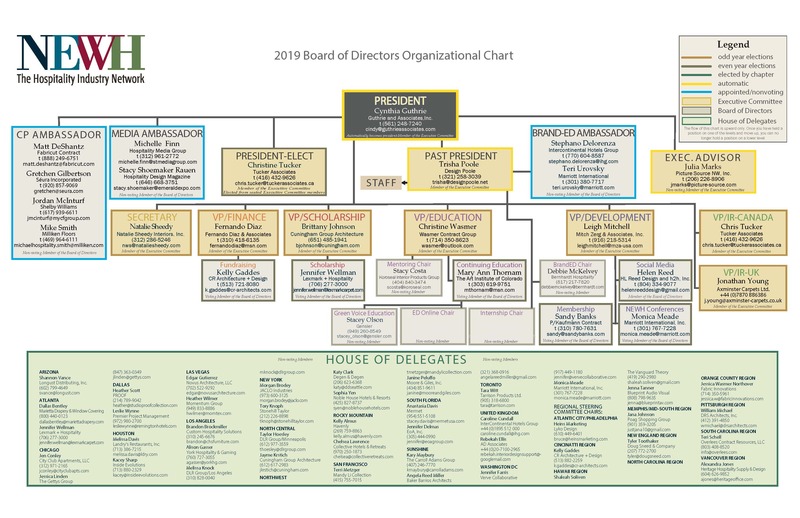 In order to kick off the new year on a positive note for chapters, we offer a Training Webinar for each director/discipline position to ensure all directors are informed of their board role. Participation in a webinar for your board position is mandatory for anyone serving on a chapter board and takes place in November and December prior to the board member starting his/her role in January. If you did not participate in a mandatory call and need to schedule a one-on-one with the NEWH, Inc. staff, please call 800-593-6394.